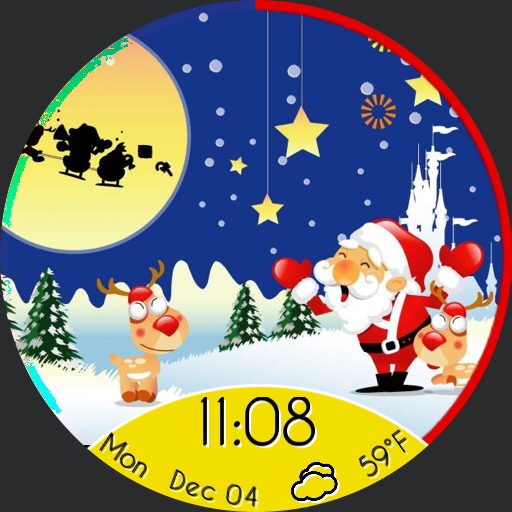 Christmas Cheer is a festive watchface that features five different scenes to choose from Simply tap on the 3 o clock area to switch to the next face and the 9 o clock area to view the previous. The perimeter of the watchface provides a battery indicator, while the main face displays the day, date, time, and weather. The dim mode is extremely low power, giving your battery a boost while still showing off your holiday spirit.